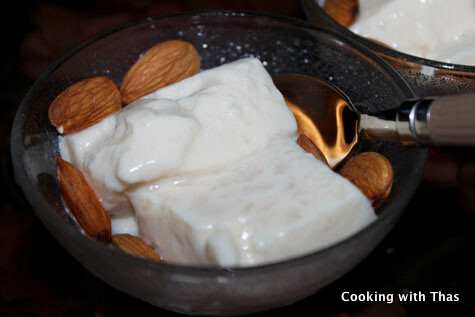 One of the desserts I had been wanting to try for the past 5 years was tender coconut pudding. For making this I needed fresh tender coconut, which was not available in the US. However, in kerala tender coconut is found in abundance. Tender coconut water has several health benefits. In fact it is an instant energizer. In summer, people in the tropical places people have tender coconut water to beat the heat and to quench their thirst. 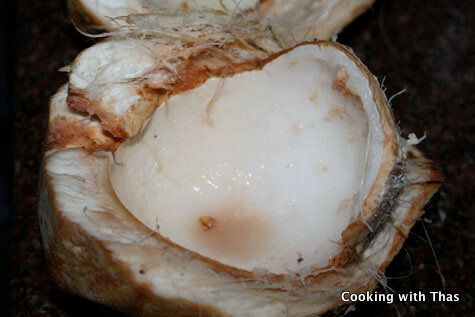 Most of the time after drinking the water, tender coconut is scooped out of the shell and eaten which has a sweet refreshing taste. You could also make a smoothie by pureeing the tender coconut along with the coconut water, tastes really phenomenal. 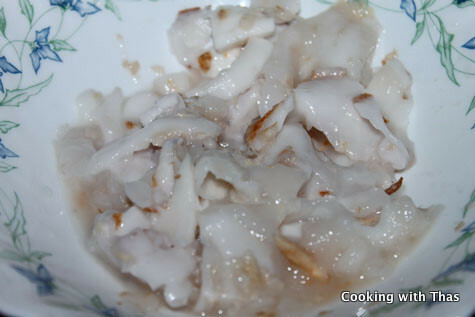 Apart from these, making pudding out of the tender coconut is also quite common. Hands down, this is my favorite pudding even though I frequently make pineapple pudding. Water from the coconut is used to melt agar-agar or china grass and the tender coconut is pureed and added to the milk and condensed milk mixture. 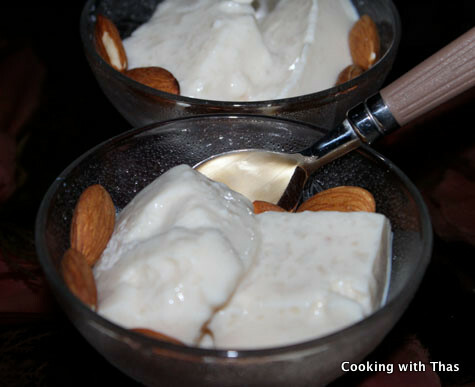 The tender coconut gives the pudding a subtle nutty taste and a velvety consistency. 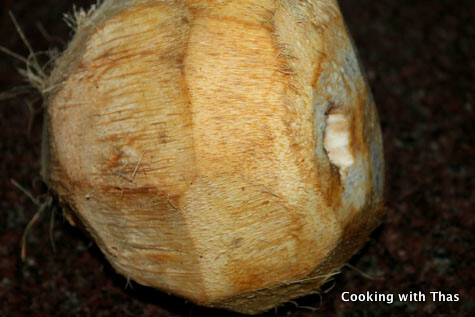 Scoop out the tender coconut from 2 coconuts and puree in a blender, keep aside. 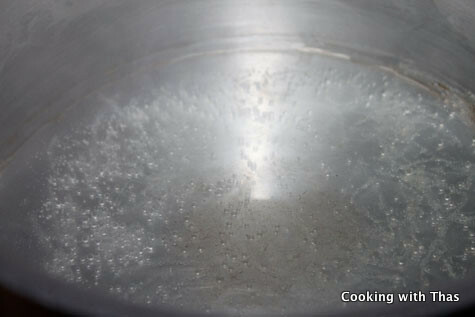 Into a saucepan, add 1 cup tender coconut water and agar-agar. 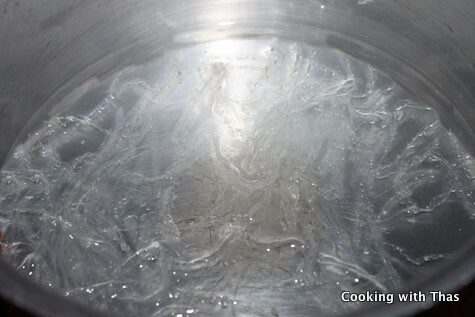 Heat the saucepan and let the agar-agar melt completely. 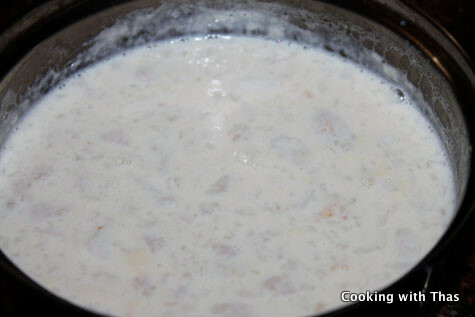 In the meantime, cook milk and condensed milk in another saucepan over medium heat. Let come to a slight boil. 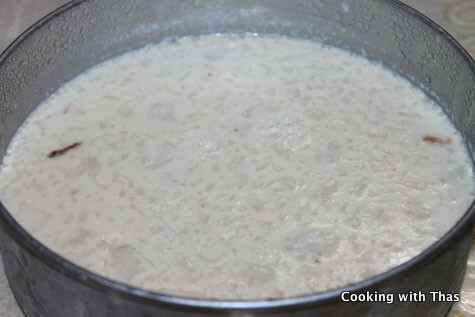 To the cooked milk and condensed milk, add the melted agar-agar, combine well. Remove the pan from the heat and let cool down for 5 minutes. 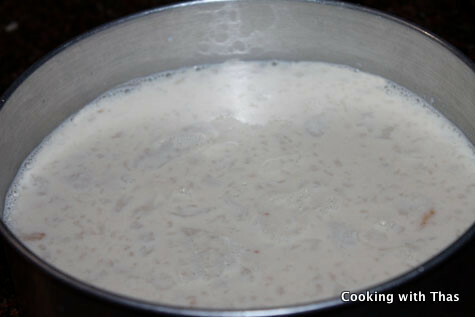 Add the pureed tender coconut to the cooled milk mixture and mix everything well. 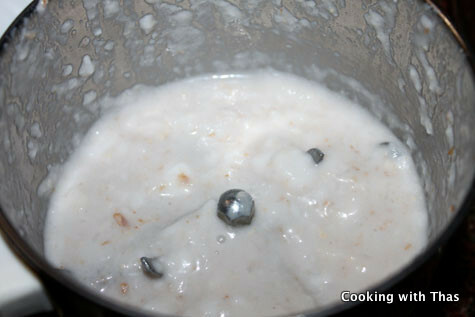 Pour the mixture into a cake pan or stainless steel pan. Keep the pudding in the refrigerator. Using a knife gently cut the pudding and serve n dessert bowls. 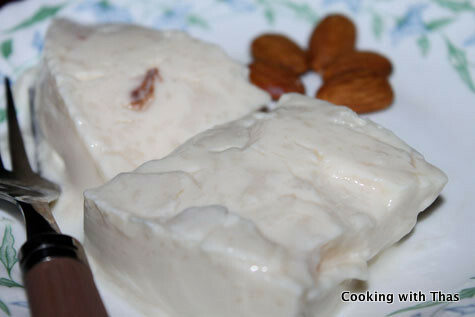 Pudding can be garnished with almonds, cashew nuts etc. Make sure to use tender coconut and not regular coconut. 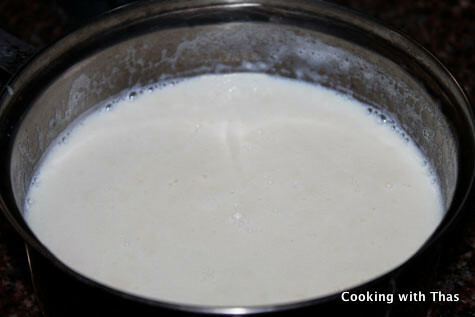 Add the pureed tender coconut only after the milk-condensed milk mixture cooles down, otherwise the milk will curdle. Remove the pan from the heat and let cool down for at least 5 minutes. Using a knife, gently cut the pudding into wedges and serve in dessert bowls.